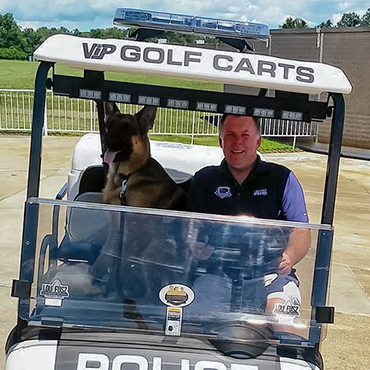 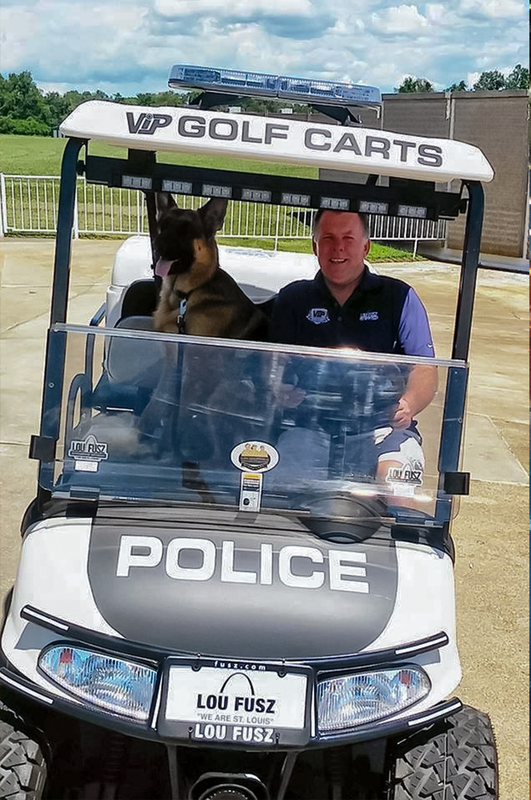 Eddie the police dog riding with John Dolan at the 2016 tournament. 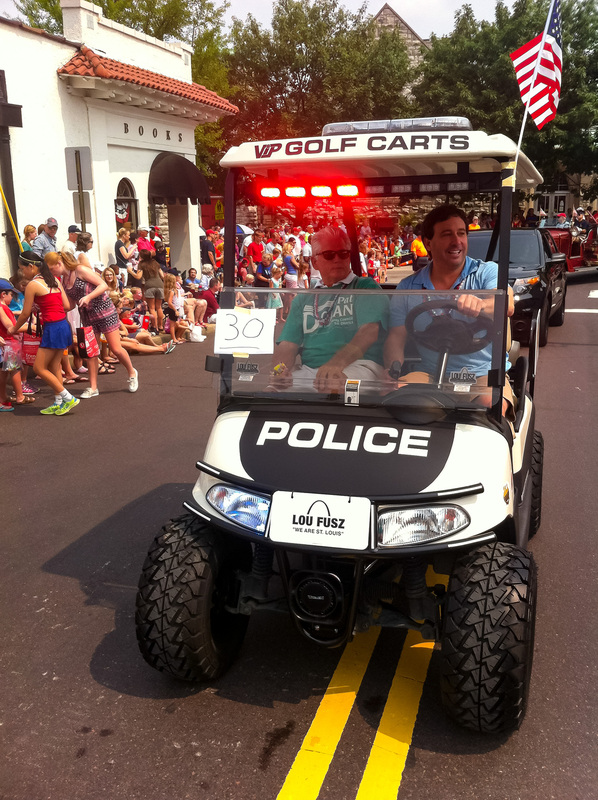 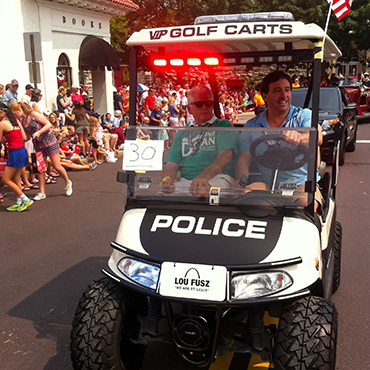 County Executive Steve Stenger and Councilman Pat Dolan driving in the parade. 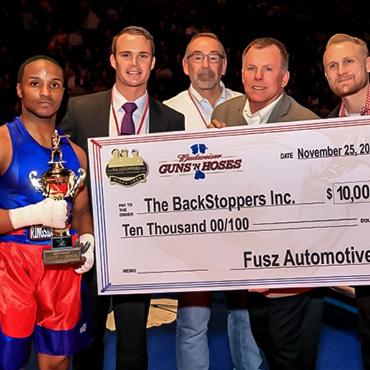 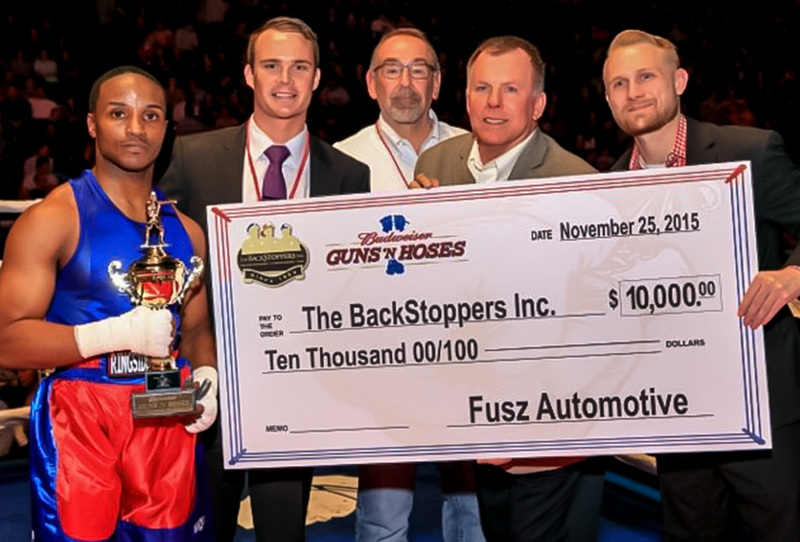 BackStoppers check presentation at the November 2015 event. 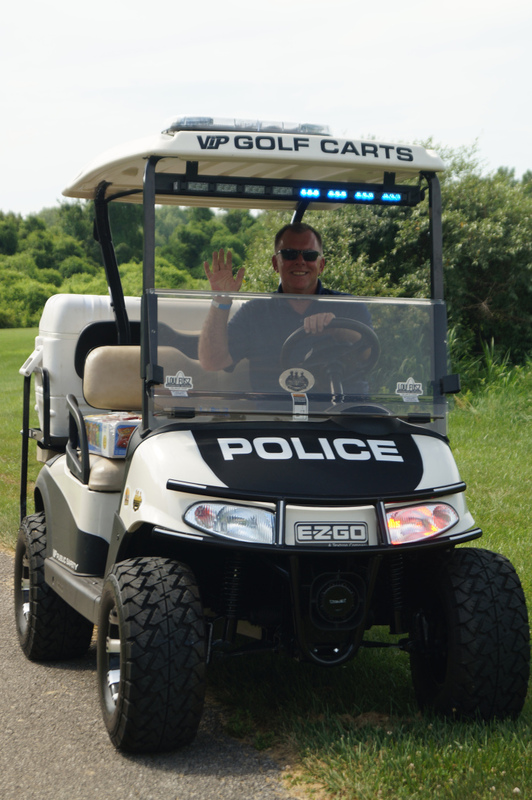 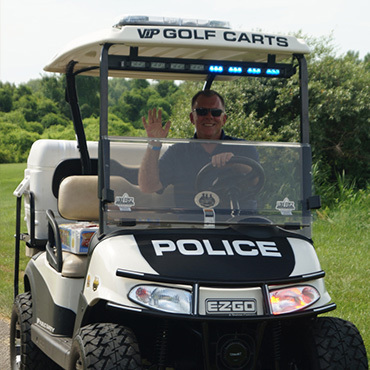 John Dolan delivering refreshments to golfers in our Public Safety cart. 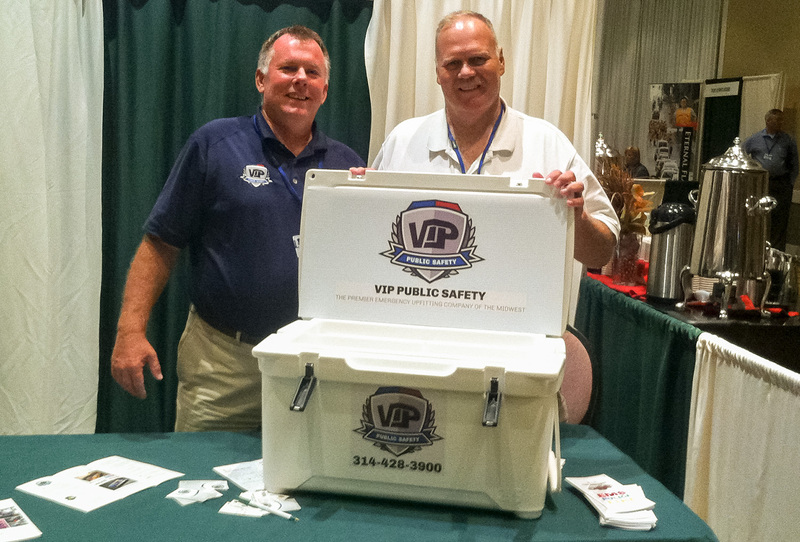 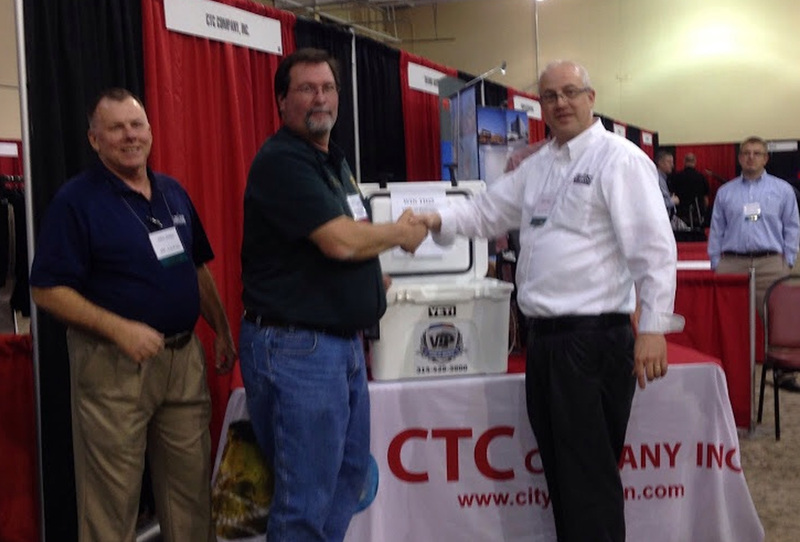 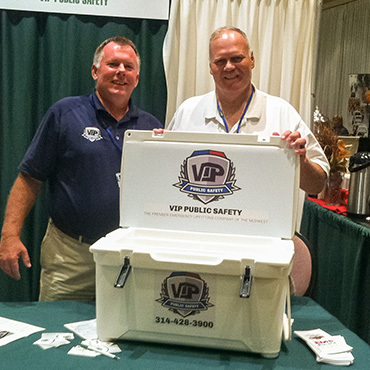 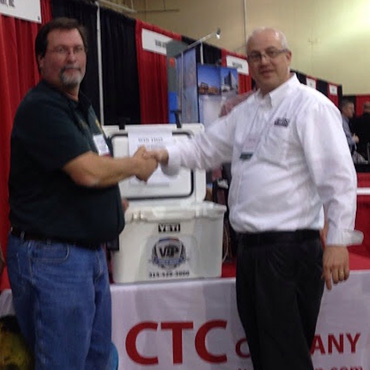 The winner of our Engel High Performance Cooler giveaway.